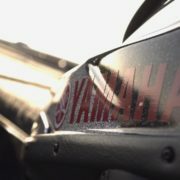 The first ever “Yamaha Turkey Bass Smash” was held by both the Marine and Outdoor Divisions of Yamaha recently. 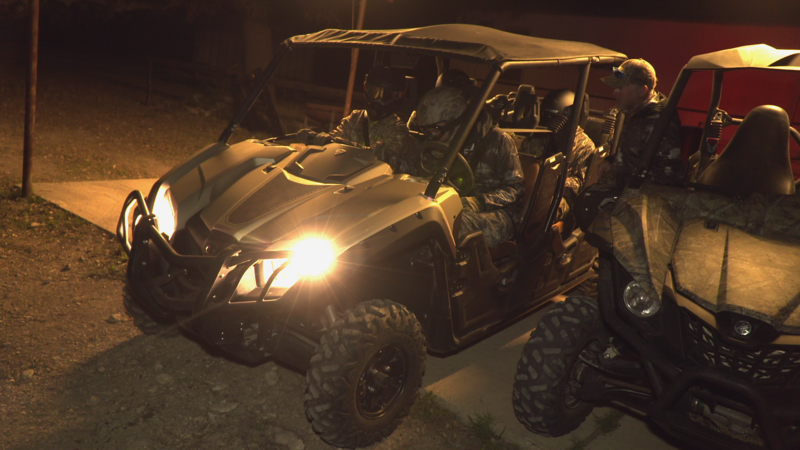 The event was a one-of-a-kind, sometimes serious, and always fun, competition held near Del Rio, Texas. Teams competing in the event were comprised of Yamaha Pro Staff members, Outdoor Writers, and Yamaha Representatives. Camera teams and staff from Americana Outdoors supported the event in various manners. 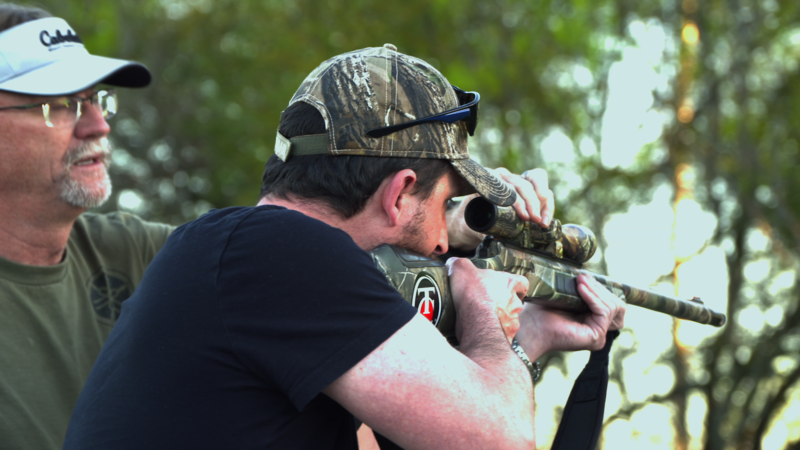 The week started with target practice on the range to get everyone familiar with the Thompson/Center Encore Pro Hunter Turkey Shotgun. Once everyone got settled in for the night, they awoke to a hearty breakfast and packed lunches prepared by our resident Pro Chef Angel Middleton. 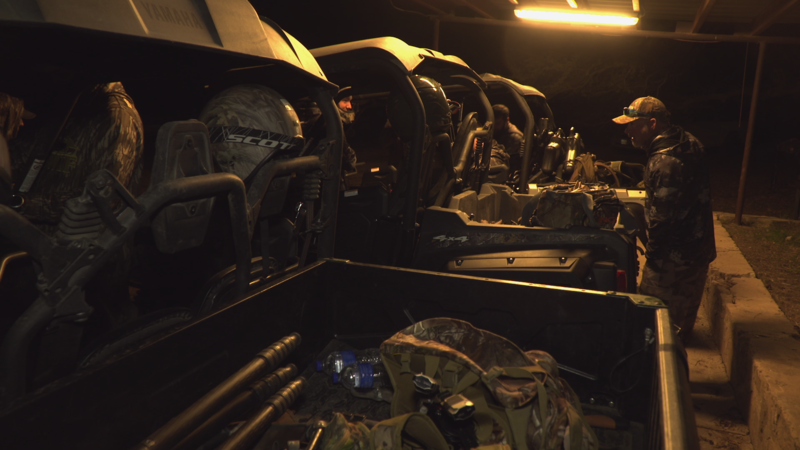 The teams then packed and loaded up the Yamaha Vikings and Wolverine Side-by-Sides and off they went for the first morning of the event which was scheduled to be a nine hour day of hunting turkeys. The conditions for the day were less than favorable for turkey hunting with temperatures in the 90’s and winds gusting to over 30 during the day. The hope from all the teams was to get on toms right off the roost but with the windy conditions, it made it difficult to call in the turkeys. Teams communicated with each other using a Garmin InReach Explorer Handheld GPS. This allowed teams to see where others were hunting as they moved and texted updates as cell signal was basically non-existent. Team Kriet scored first blood as John Geiger, Editor-In-Chief of Game and Fish Magazine, smoked a jake while Pro Angler Jeff Kriet and Yamaha’s Brad Dreyer did the calling. With Team Kriet on the board early on, Team Middleton and Team Palanuik both were on the move often, but having little luck; however, that changed late in the day when Skip Knowles, author and editor at Wildfowl magazine, took a large tom with a little more than 30 minutes of hunting time remaining on the clock. 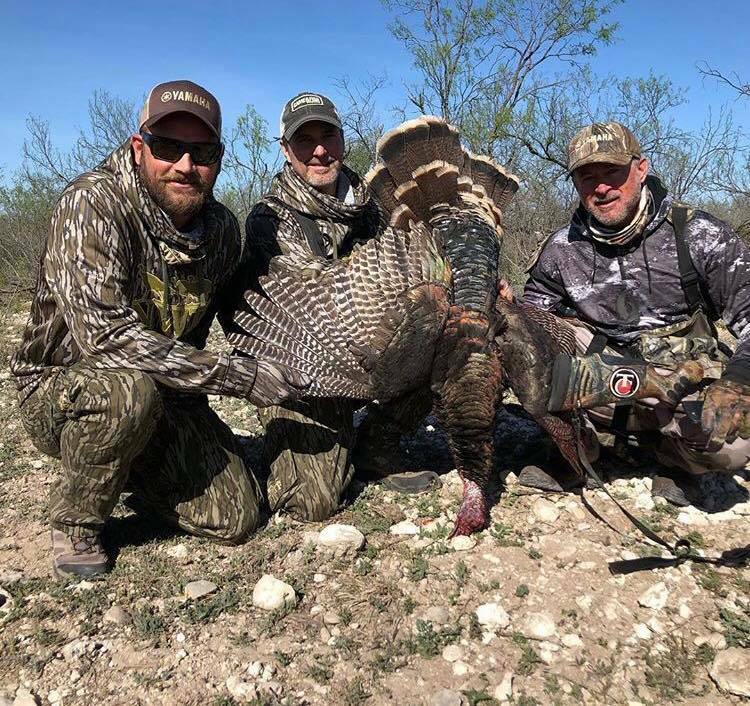 This great tom was taken in heavy cover and would give Team Middleton a lead over Team Kriet heading into the fishing portion, while leaving Team Palaunik to rely on fishing the famed waters of Lake Amistad in order to make a final day charge. 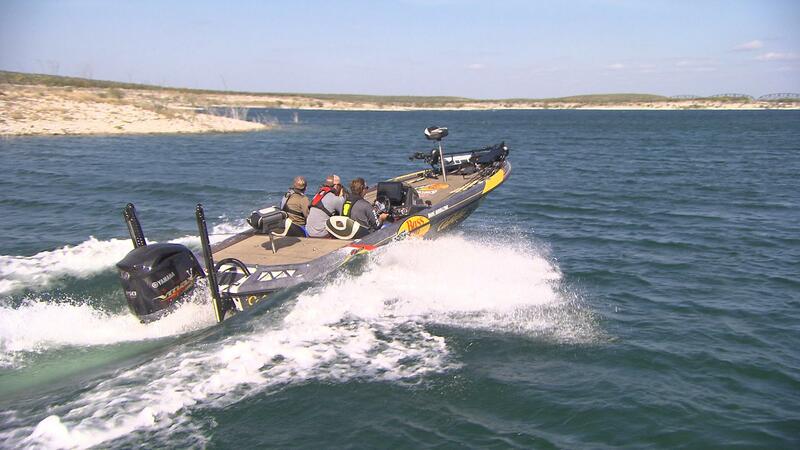 Each team arrived at the ramp on Lake Amistad the next morning with their bass boats in tow to start the final round of competition. 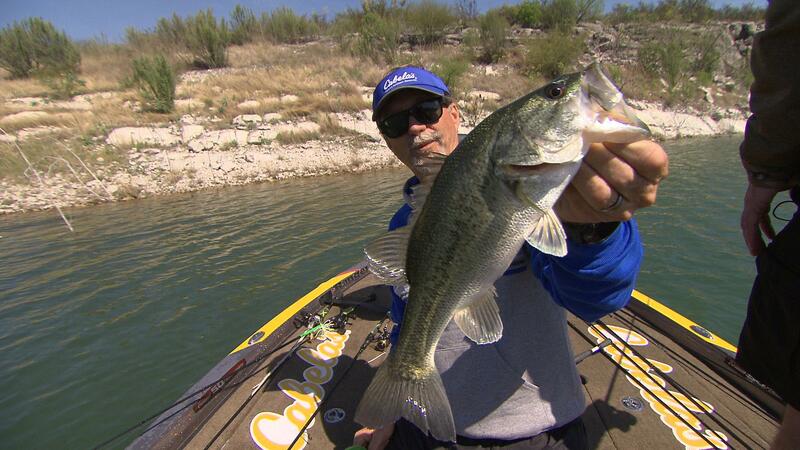 There was plenty of boat ramp talk going on about who would catch the most and largest, but once again it was high winds that were going to play havoc on the day and cause the teams to be limited to fishing certain areas. As the day began Jeff Kriet quickly boated what would be the biggest fish of the event! 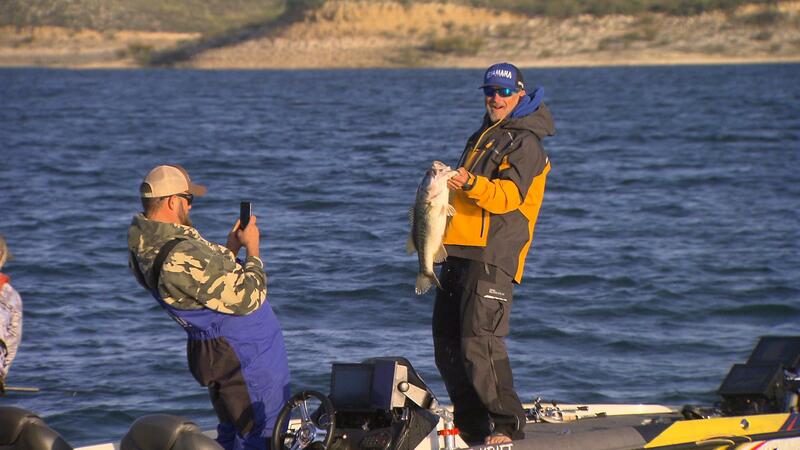 The eight-pound plus bass would put Team Kriet and Team Middleton pretty much in a tie at that point in the day. The fishing was good all day long with a lot of fish being caught by all the teams on a variety of baits. 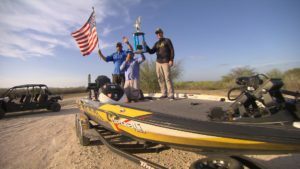 At the end of the day when the score was combined for the fishing and turkey portions, it was the Team Kriet, consisting of Jeff Kriet, John Geiger, and Brad Dreyer who were crowned Champions of the inaugural 2018 Yamaha Turkey Bass Smash — which lead to a loud and fun celebration around the camp with all the pageantry worthy of any major sporting championship win! 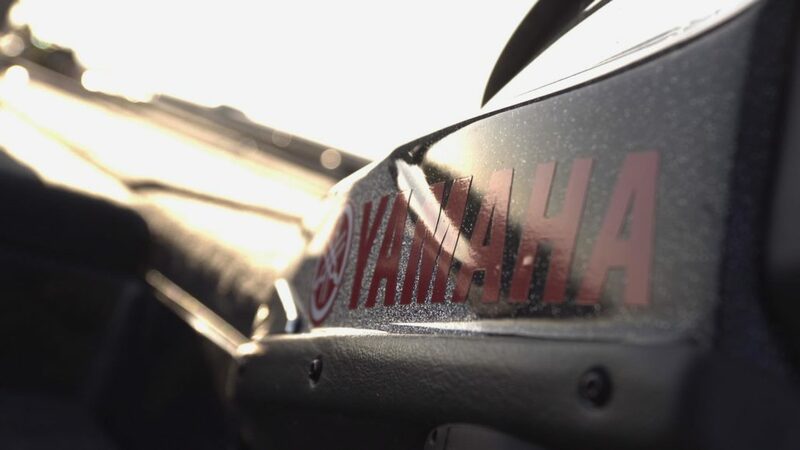 This event was a great example of sportsmanship, comradery, and showcased the Yamaha Products on both the Marine and Outdoor side that Yamaha offers. Talks for next year’s event are already underway and we will just have to wait and see if Team Kriet can defend their title. Be on the lookout for full coverage of this event in a future episode of Americana Outdoors presented by Garmin. Bucket List: Red Stag Hunting in New Zealand Voted America’s Best Aquarium! !